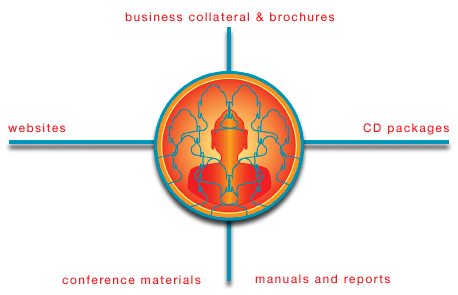 Working with holistic practitioners and businesses requires a deeper level of intuition than the corporate design work I did for many years. Logos, for example, become sacred symbols that represent, not just a business or service, but the merging of one’s higher purpose with worldly endeavor. I strive to make brochures, CDs, website visuals and other media promotionally effective while staying true to the underlying vision. Whether you are marketing to a mainstream audience or a more targeted group, I have the range of experience to create professional, well organized, compelling materials honed to achieve your goals.